In Celebration of the Scott Antarctic expediciton centenary there is an open call for nature lovers and photography enthusiasts. Do you want to win a once-in-a-lifetime trip to Antarctica? There are four heats in this photography competition and in each category, you are to submit entries that you feel best portrays and illustrates the theme! At the end of each heat, winners representing each of WWT’s nine wetland centres will be chosen from each category. When the competition closes on 31 August 2012 all regional heat winners will go through to the grand national final to be held in autumn 2012, and our Portfolio Photographer will be chosen and awarded the grand prize of a trip to Antarctica. World Wetlands – entries to this category can be taken anywhere in the world. Young Photographer of the Year (for under-18s) — entries in any of the four main categories will be transferred to this category as under 18s are ineligible to win the main category awards. A winner will be chosen for each centre for each of the seasonal heats to go forward to the national finals. People’s Choice – the public are able to vote online for their favourite photographs in any of the above five categories during each seasonal heat. The photograph with the highest number of overall votes from each seasonal heat will go forward to the national finals. Additional award: Portfolio Photographer of the Year – photographers with at least three shortlisted images in two or more of the seasonal heats will automatically be entered into the national final to be in with a chance of winning this additional award and a once-in-a-time trip to Antarctica, courtesy of Exodus in partnership with Quark Expeditions. 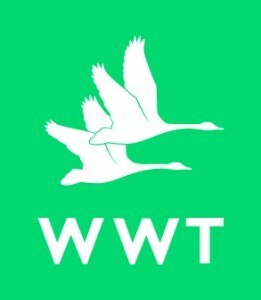 *All submissions entered in the first three must be taken at one of WWT’s nine wetland centres.